We have clean, classic rooms with flat screen TV’S With DSTV and Air conditioning. There is also a separate bar and restaurant. Highly trained chefs prepare your dishes while you enjoy in the swimming pool or chat away with friends at the bar. We prepare both local and international cuisine. 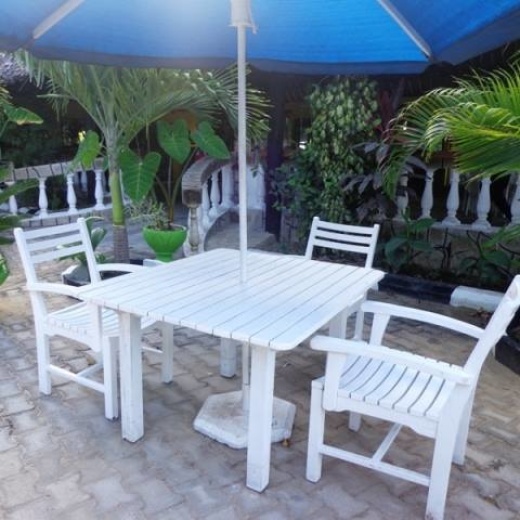 Located in a conducive environment in Mtwapa town off the Mombasa – Malindi highway, easily accessible from the main road. Maweni Sea Breeze Hotel is a fully functional facility with a great accommodation capacity. Each of apartments is self contained. The pool is so that kids can swim together with adults. You are free to swim voluntarily as long as you have checked in. The swimming pool is fitted with interior water proof lights to help you swim in the evening. There is a standby life support kits and an on call trainer. The staff awaits to welcome you to one of our bars. A wide assortment of alcoholic and non-alcoholic drinks are available. Hanging out is easy at the main pool side spot. Beverages, snacks and easy bites, in style. Live band is yet another unique feature. Visit us on Sundays together with your family and friends and get entertained.